For our latest window display we were inspired by a beautiful floral backdrop from BHLDN and by the fantastic work of Confetti System. We wanted to share our experience creating our own hanging paper garden with you! 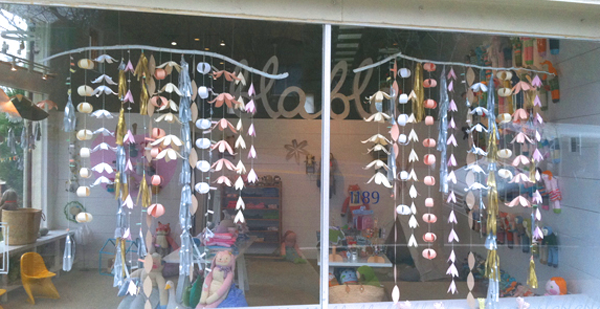 We first experimented with different flower shapes, sizes and colors before discovering the ones we liked best. 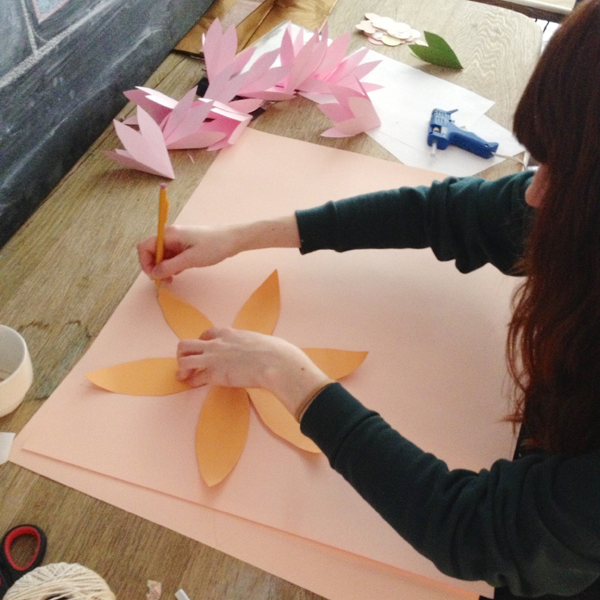 We've included a few templates, but you can also come up with your own floral shapes as well! 1. 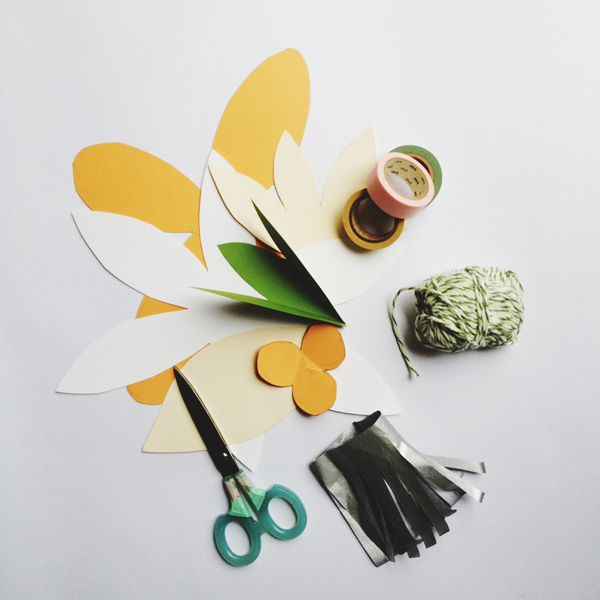 Trace and cut out your flowers and leaves using our templates or your own. 2. Shape your flowers using a pencil to get them curled and folded. Then use tape or glue to close your flowers into their final shape. 3. Thread your string through a yarn needle and string your flowers together at various lengths, leaving room to tie the top of the strand to the branch. For the leaves we sewed ours onto the string, but you can also use tape to attach them. We then added washi tape here and there to make our strands of flowers a little more fun. 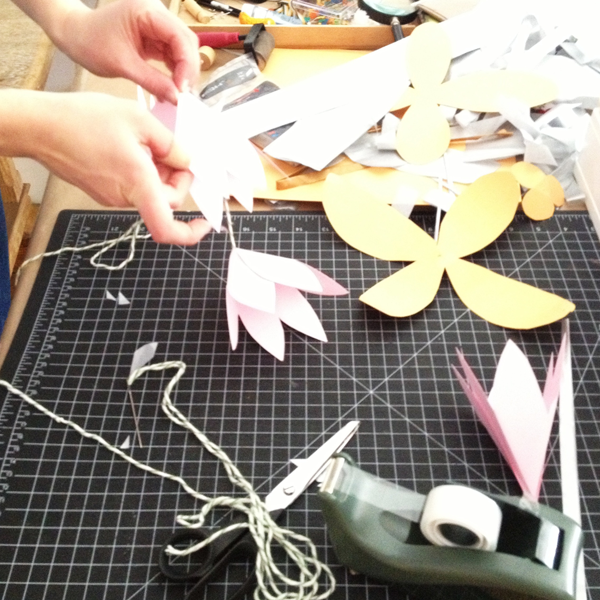 The strands of tissue paper tassels were also cut and rolled by hand and attached with Washi tape (definitely one of our favorite craft materials here in the studio)! 4. Once you have your flowers and leaves on their strands (we made about 15 strands per branch) you can attach them to your tree branch. We painted ours white, but you could also go with the natural look if you prefer! There you have it! 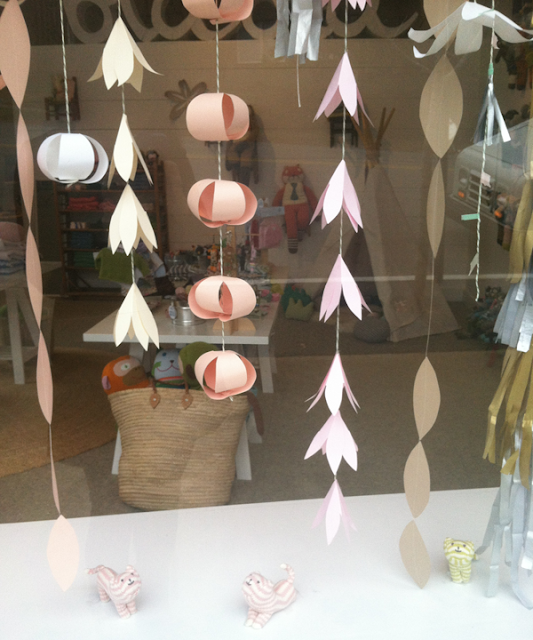 Your own Hanging Paper Garden! The link for the templates is disabled. Could you reactivate? 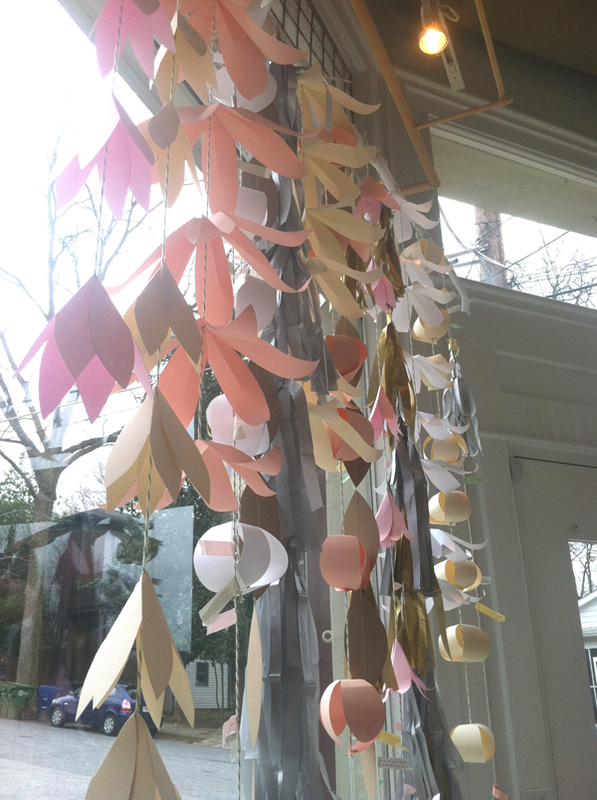 Trying to make these decorations for my sister's wedding shower.